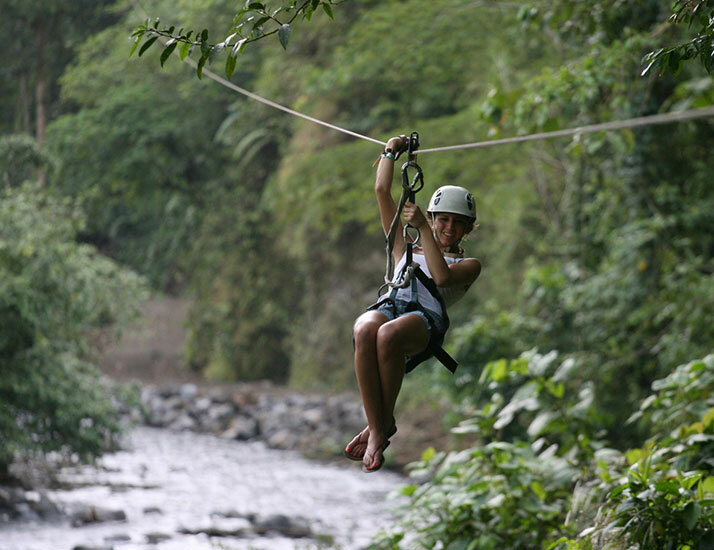 Come see the lush Costa Rican rainforest from two different perspectives! 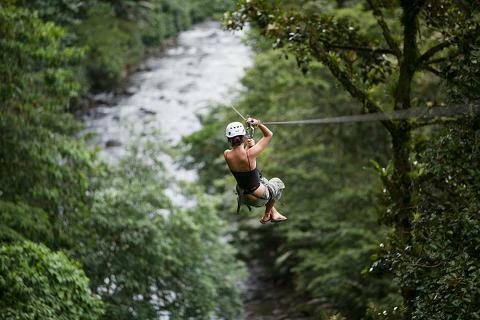 Get wet and wild hiking through the forest and rappelling down waterfalls, then soar above the rainforest canopy as you zipline from tree to tree like Tarzan! 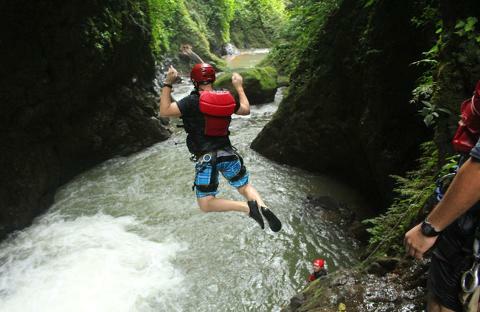 This day is full of adventure and is the perfect way to get to know the REAL Costa Rican jungle! 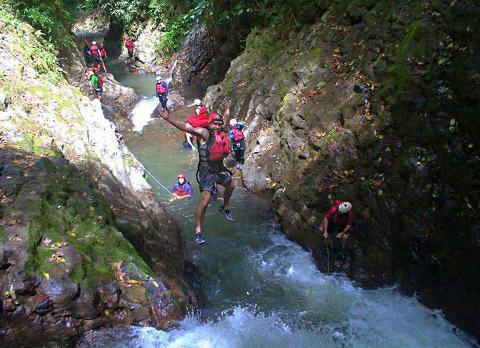 Canyoneering is more than just rappelling; it’s a full-body work out! Use your arms, legs, and hands to climb through Mother Nature’s obstacle course: You’ll be jumping into pools, sliding down a natural water slide, sitting under waterfalls, pulling yourself up some rocks and helping yourself down others. 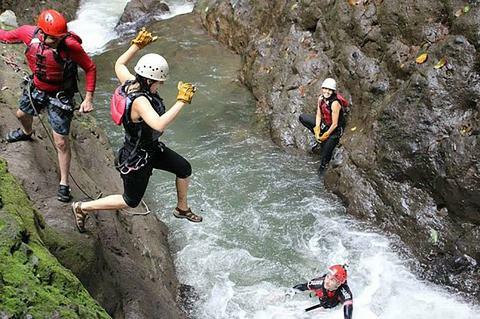 You’ll finish your adventure with a 200 ft waterfall drop -- rappelling part of the way and then letting go of the reins to experience a guided free fall drop! Talk about adrenaline! Then, relax and enjoy a delicious lunch at the Canyon Café for the famous DESAFIO WARRIOR BUFFET before heading to your ziplining adventure. There are 12 cables in total that reach up to 850 meters long- some of the longest in the world. During the tour, you will find yourself high above the rainforest canopy with amazing views of the surrounding hills, mountains, rivers and the majestic Arenal Volcano forming the picturesque backdrop. This combo tour is sure to get your heart racing!